‘O Fogar do Santiso’ is an organic farm and restaurant located approximately 15 km south from Santiago de Compostela in the Galicia region in northern Spain. 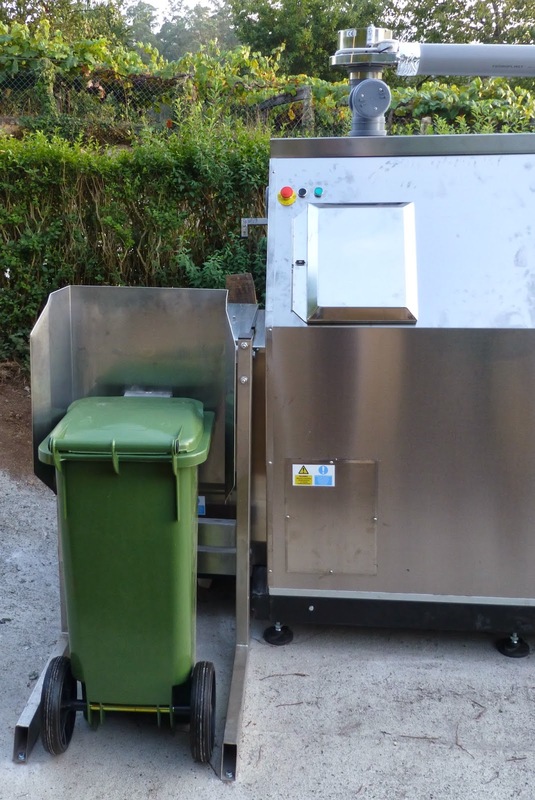 In the autumn of 2013 a Big Hanna composter model T240 was installed to compost the organic waste on-site. The restaurant is characterized by the pursuit of sustainable development and commitment to the environment. Their gastronomy is in Spanish called ‘Cociña da terra’ which in English means ‘regional cuisine’. They serve organic food from their farm and adjust the menu to the seasonal products available. O Fogar has a policy of the three R’s and the approach to zero waste. Consume goods returnable containers or served in bulk. 100% composting of organic waste. Employing the generated compost as organic fertilizer in ecological gardens. Reuse the glass and cardboard like materials used in their bio constructions. The frying oil is the main source of energy, as this is used in power generation and agricultural vehicles. All these measures help to reduce their ecological footprint. Safeguard the planet’s resources for future generations. As an example of their bio constructions please see in the picture below a wall build of glass bottle bottoms. Big Hanna have in Sweden been used to compost food waste on-site for more than 20 years. The possibility to compost on-site for a restaurant of this size is still a quite new experience in Spain. The goal set in all European countries to divert the food waste from the landfill sites gave ‘O Fogar do Santiso’ the opportunity to receive some funding of the investment from one of the European Development funds projects. O Fogar do Santiso is definitely showing the best practices when closing the loop by not sending any organic waste to landfill.